I employ a mixed media approach in an attempt to translate my experience under sectarian strife into a stabilized visual form. Reem Bassous received her Bachelor of Arts from The Lebanese American University in Beirut, Lebanon and her Master of Fine Arts from The George Washington University in Washington DC. Her paintings and drawing installations have been featured in international exhibitions including the Millais Gallery in Southampton and the Brunei Gallery in London, England; and the RamsayOng Gallery in Kuala Lumpur, Malaysia. Bassous’s regional and national exhibitions include shows at the Honolulu Museum of Art, Hawaii, The Meadows Museum, Louisiana, and the Washington Studio School Gallery, in Washington DC, WhiteBox Gallery, and the Painting Center in New York City. She is the recipient of the Glassman Award, the Langenkamp Award in Abstract Painting, the John Young award, and was the winner of the 2013 Kafiye Project Competition at Kaflab, New York City. I paint with a single palette knife using oils on canvas. I have always been drawn to the creative process . . . coming up with something new that captures a thought, a feeling, or a fleeting image in my mind. Painting for me is like a meditation. You have to be fully in the moment and what I love is how the creative process so often produces delightful surprises for me. For years, I have displayed my paintings at Tabora Gallery located on Kalakaua Avenue in Waikiki and in Haleiwa. Other major venues for my paintings are Palms Gallery located in The Shops at Kukui’ula in Poipu, Kauai and Turnbull Studios and Sculpture Gardens located on the island of Maui. My artworks have been featured in solo or group exhibitions in museums and galleries in the United States and Japan, including the Tokyo Metropolitan Art Museum, Hawaii State Art Museum, The Contemporary Museum in Honolulu, Ferrin Gallery, Lauren Clark Gallery and ArtPrize in Grand Rapids, Michigan. 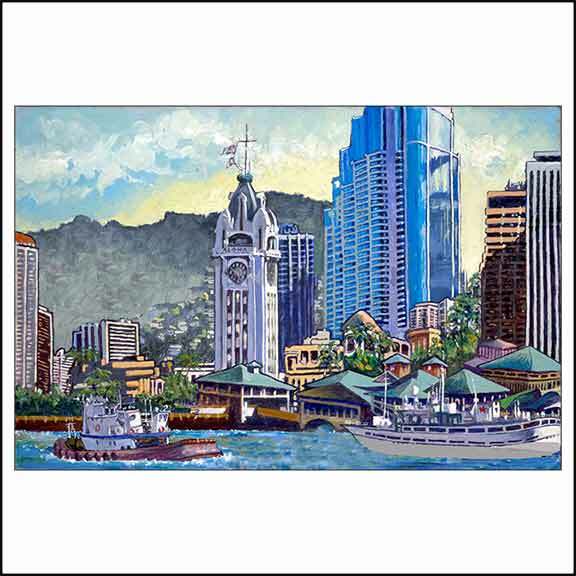 In addition, my work is in public, corporate, and private collections, including those of the City and County of Honolulu, Kapolei Hale (City Hall), the Hawaii State Foundation on Culture and the Arts, and Northwestern Mutual Financial Network. Public and private commissions available. My principle study is wildlife art. I wish to celebrate the beauty of this heritage. With each image I strive to capture an accurate portrayal of a particular species interaction within its established environment. Both introduced as well as indigenous flora and fauna are noted in an effort to make a more honest assessment of a particular ecosystems state of existence. After presenting the stage I place my primary subject interacting within its surroundings. The result is an intricate depiction drawn from my memory and imagination, which I couple with studies of reference sources for anatomical accuracy. I welcome you to explore my website and embrace the beautiful wildlife of the Hawaiian Islands. A local Hawaii artist from Kapahi, Kaua’i, Kalani divides his time between painting on his home island and working out of his studio on O’ahu. Kalani’s work centers on the process of painting filtered through Polynesian tattoo symbolism and methodology, and ‘almost western’ comic book iconography. 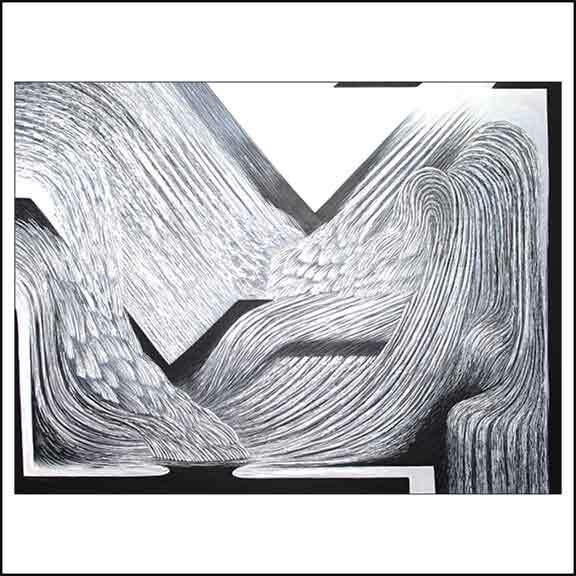 Whether he is invested in sharp detailed draftsmanship within his intimate mixed-media journals, or large abstract paintings, his work is ultimately an investigation of marks and time. With endless curiosity, he approaches painting as an ongoing investigation into current day mark-making, time, and dynamic interconnected occurrences of himself, ourselves and our broader world. 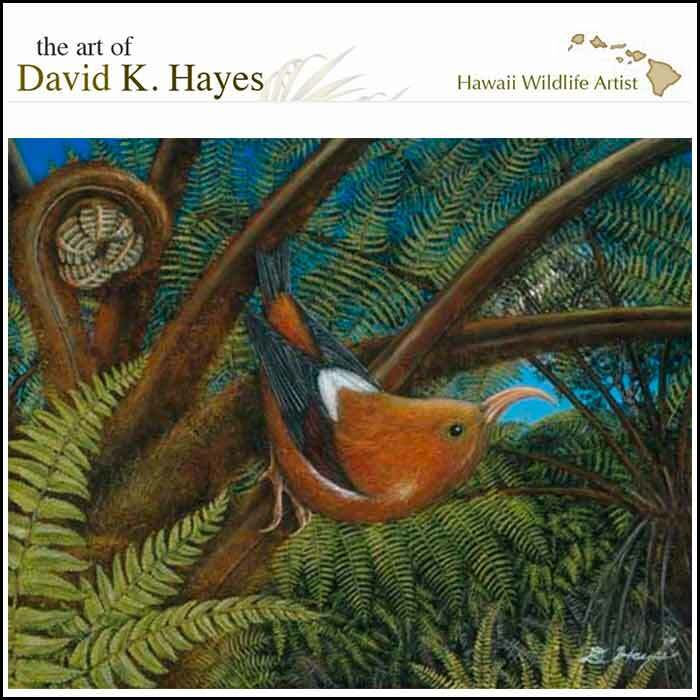 The artist has resided in Hawaii since 1984 and works at his central Oahu painting studio. Since childhood, art and music have been a way of life. McGeary maintains that his work is for the enjoyment of others, proof of this exists in the numerous collections of his work. Patrons from all over the United States and internationally cherish the work of this prolific painter. "While painting I try not to preconceive what the final image will be. Painting, structure, and balance are my primary concerns. Many changes occur and the painting develops progressively through numerous layers of brushstrokes that create movement. My painting technique is powered by my subconscious concerns that deliver unique and significant results." My work explores forces and life forms of the natural world as metaphors for human experiences of love, loss, grief, and wonder. Emerging from a repetitive process of rendering and erasure, the creation of these pieces parallels an endless pursuit of reconciling past with present, duration with impermanence, disjunction with continuity. 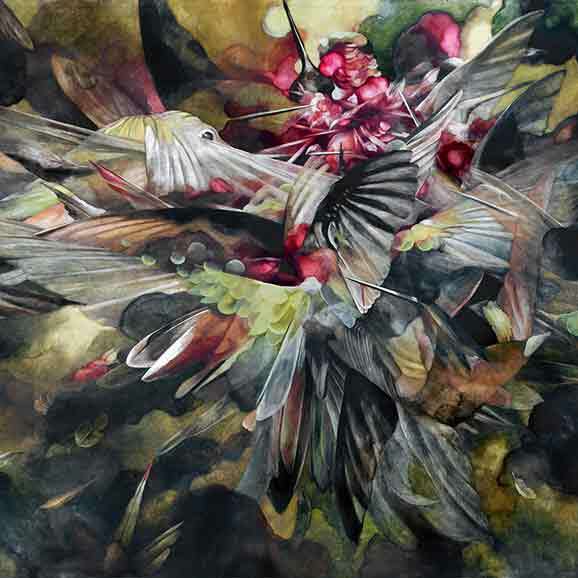 Looking to the intricacies of both the visible and intangible world, I seek to connect the supreme multivalence of nature—its beauty, violence, power, and fragility—with our own internal landscapes. Whatever I paint I must create a living image of it in my heart first, until I can make the transition to my art. Living in Hawaii for the last 20 years enables me to be surrounded by the best of both worlds. My works in oil, tempera and sumi ink are an endless exploration of dynamic color combinations, lines, bold forms and a celebration of Eastern and Western influences artistically intertwined. Born in Hawaii, raised in Lanakila and Manoa Valley, Taufaasau is regarded primarily for his bold renderings of Polynesian people. His colors are vivid, bright and lively. "My ethnic background (Samoan, Chinese, English, Portuguese, Hawaiian and Tahitian) dictates my use of color and form. Growing up in Hawaii, even rainy days are screaming with color. A grey, overcast day in Manoa is rife with the colors of the ever present rainbow." I think of myself as a painter regardless of the medium I am working in. In my mind, a painter is a story teller, someone who imagines, projects and follows his curiosity. Media and techniques come and go but I never stop imagining. There is always the question, what if…? And then I try it. George Woollard has had 28 solo shows and has been in approximately 320 group, invitational or juried exhibitions. Venues have included galleries and museums in France, Germany, Italy, Norway, Finland, Korea and Japan as well as spaces in New York, Chicago, Los Angeles and Honolulu.